Big bold image of coffee beans and coffee being poured into a cup. Oh boy, can you smell the aroma filling your senses? We really love coffee here at Splendid Recipes, and contrary to popular belief, coffee is actually good for you. 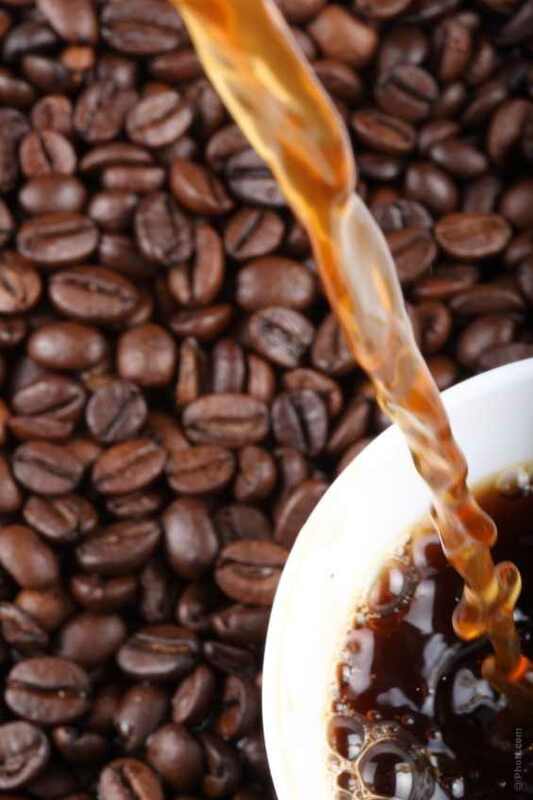 Link here – Coffee Benefits – to read 3 articles we have posted at our nutrition web-site, “Health News Library” to read about the benefits of coffee. We have a page over there that offers FREE e-books, as well. Here’s one of many info-graphics we produced on health issues, this one being about the Benefits of Coffee. What is your favorite cup of brewed coffee, which is, if you drink it? You may not realize it, but there are a lot of variations when it comes to drinking this ever becoming popular beverage. Here is a list we found on Wikipedia of the number of coffee houses in the United States alone (link here for list). Wikipedia describes coffee houses from a cultural standpoint, as centers of social interaction. The coffeehouse provides social members with a place to congregate, talk, write, read, entertain one another, or pass the time, whether individually or in small groups of two or three people. A coffeehouse serves as an informal club for its regular members. Of the coffee houses “Starbucks” owns or has sold as franchises is reported as having 5,500 locations (mostly licensed) outside the U.S. in 2010. Did you know that yesterday alone 41 million people (U.S.A) drank coffee from a single serve coffee maker? We are referring to the Keurig or Mr. Coffee and other name brand single serve coffee makers. As for the variations in coffee, here are some tips on how to find your favorite coffee. One thing to help you determine which coffee is best for you, you need to ask yourself why you drink or want to drink coffee. This can help guide you along on your coffee journey. Here are some examples of questions you can ask yourself. * Do you want to drink coffee because of the caffeine stimulation? You may not even like the taste, but want or need a caffeine boost. This is an important question, as coffee not only comes black, but cream and milk can be added, especially if you want a Latte or Mocha. Keep these questions in mind as you search for the coffee that’s right for you. Here are some types of coffee beverages, so you can find one that suits your palate. If you’re really in it for the caffeine, then you might go for an espresso, which is a coffee that’s made with finely-ground beans. Some people think an espresso drink is low in caffeine because they are served in small quantities, but espresso has about three times as much caffeine per ounce as regular drip coffee. 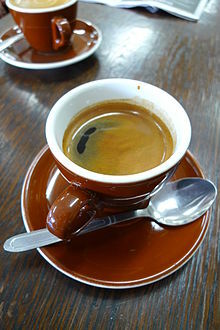 If you want an espresso, but are afraid of the caffeine rush that comes along with it, try an Americano. That is a coffee make with 8 ounces of hot water and the number of espresso shots you want. Generally speaking, the longer a coffee bean is roasted, the poorer the flavor. The inexpensive, mass-produced brands are over roasted, and that eliminates the natural flavors that are in a traditional dark-roasted coffee: sweet and highly caramelized. Our recommendation is to buy your coffee beans from a local roster, and grind them yourself at home. Local rosters roast coffee for quality, not mas production like many of the coffees packaged at your local supper market. If you do not digest dairy products or are allergic to them, you can use almond or coconut milk in your coffee. This can produce a really tasty coffee, especially if you use chocolate, vanilla, or sweetened varieties of the almond or coconut milks. If you’re concerned about the calories in a cream- or milk-based coffee beverage, go with skim milk and sweeten with something like organic natural honey. Or you might find out that you enjoy drinking coffee without sweetening it at all. Hopefully, this has helped you decide which coffee beverage will work best for you. But if it’s too much for you, you can always drink instant coffee. It may not have as complex a taste, but its preparation is quick and easy. Don’t tell the coffee connoisseurs I told you that, otherwise we are out of business. This entry was posted in Beverages, Reviews - Kitchen Utensils - Cooking - Food and tagged Americano, Caffè Americano, Coffee, coffee beans, Coffee Benefits, coffee beverage, coffee beverages, Coffee Houses, coffee makers, Drink, Keurig, Latte, Starbucks. Bookmark the permalink. Although not a coffee drinker, this info is good to know when hosting guests. Thanks! I am glad the article could help Roger. Most of our guests are friends, but friends will have different preferences then the Host does. I always offer my arriving guests a glass of wine as they enter the door. There are some of course who do not want wine, so I have flavored tea or juice to offer. Thanks for stopping by Roger. Have a great week ahead!! Just make mine black – thank you. Interesting post. Thanks Jovina. I always take mine black as well. Though I do get a Carmel Kicker Latte w/3shots at our local Dutch Bro’s coffee house.